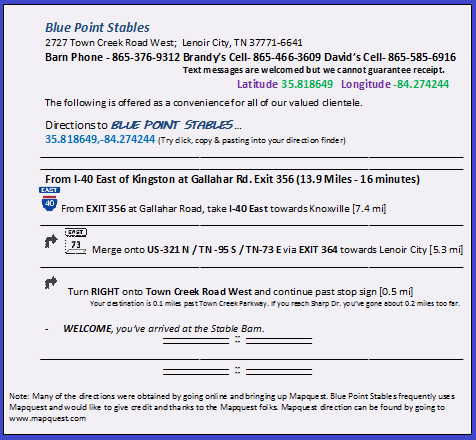 Click on this line to see a Google Maps visual of Blue Point Stables. Click HERE for Directions to your smart phone. 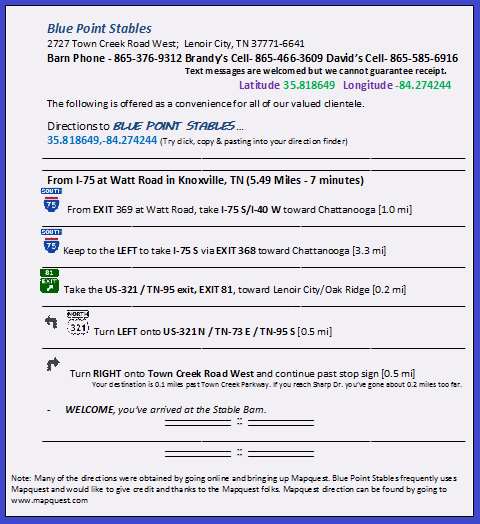 Please CLICK on this line to download the above directions in pdf format if you're traveling from North of BPS and are going S. Bound on I-75. 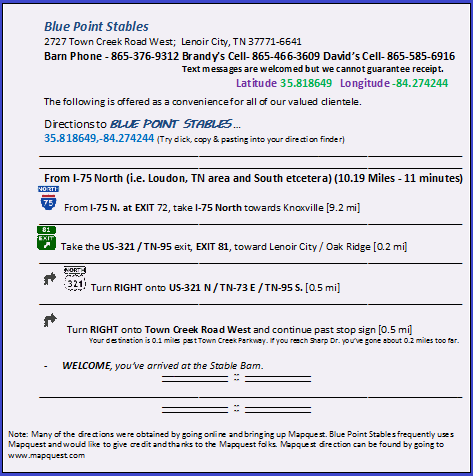 Please CLICK on this line to download the above directions in pdf format if you're traveling from West of BPS on I-40 and are going East Bound. Please CLICK on this line to open the above directions in pdf format if you're traveling from South of BPS on I-75, and going N. Bound. 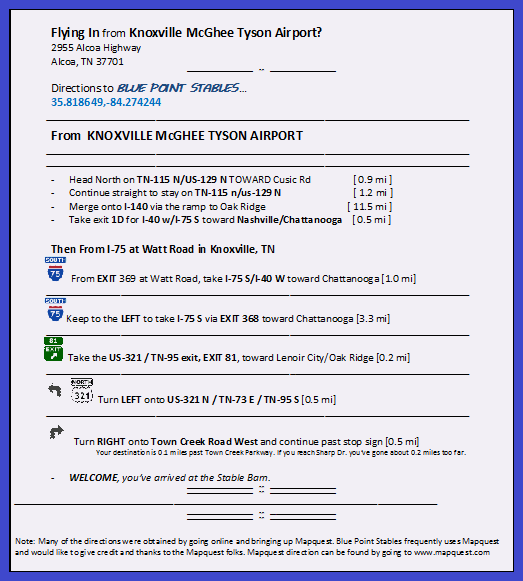 Please CLICK on this line to open the above directions from the Airport, that can then be saved in pdf format.